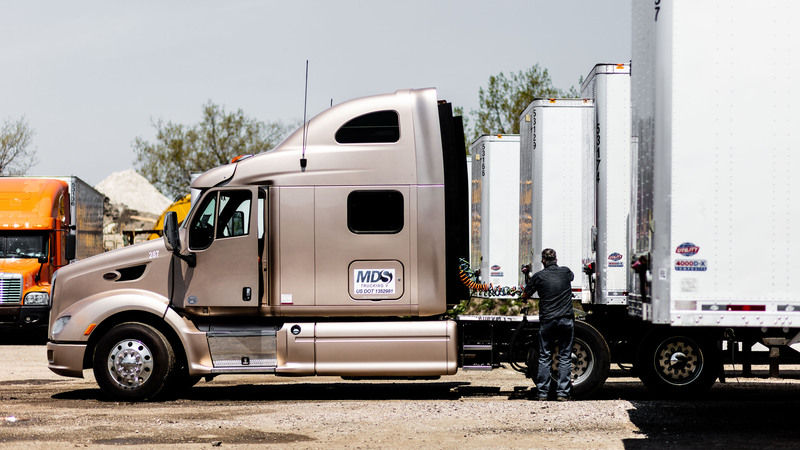 MDS Trucking Seeking Ambitious Company Drivers to Join Our Team! We are looking for qualified OTR drivers with good safety records to supplement our fleet of recently purchased trucks. Lease to purchase option (2 years) available after 6 months of service. All miles paid - 60 cents per mile. $500 sign-on bonus after 30 days of service. W2 pay via Direct Deposit every Friday following the work week. Home every or every other weekend. EFS fuel card, fuel at any station - fuel discounts at Pilot and Flying J..
Daily cash advance with no fee. Option to lease-purchase after 6 months of service. Truck type: 2014-2015 Peterbilt 587 sleeper. Drivers are expected to comply with all applicable FMSCA/DOT regulations. Pre-employment drug test per FMSCA regulations and background check. If you are interested in pursuing our truck driving jobs opportunity, please submit your resume, answer the qualifying questions, and complete the Skills Assessment (about 10-12 minutes) and we can discuss if our career opportunity is a perfect fit for YOU!